Five Killed And Two Injured Fatal St. Lucie County Car Crash | Schuler, Halvorson, Weisser, Zoeller & Overbeck P.A. Five people have been killed and two seriously injured after a crash involving a tractor trailer and several cars in St. Lucie County. The tractor trailer had intersected with a Honda Accord while trying to make a turn. The crash left 5 passengers in the Honda Accord dead. 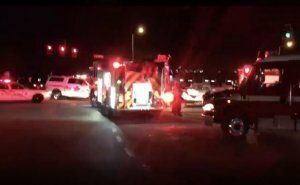 The motorway was closed northbound near junction 24 after emergency services were called to the scene in Fort Pierce, St. Lucie County. Drivers are being advised to avoid the area where there is heavy traffic. Two of those taken to the hospital were seriously injured, the statement said. Although the northbound roadway was re-opened after being closed immediately after the crash, the road remains congested in both directions.